For this week’s Friday Favorites, I had the chance to interview five UW-Whitewater students who are graduating in May and searching for jobs. They’re all at different points during the job search process and all have very different experiences and advice to give to other seniors. Check out their interviews below! Nelson Ritthaler, a senior, is majoring in organizational communication and minoring in philosophy. Jamie Selck is majoring in management with a human resource emphasis. Patrick Johnson will graduate with a Bachelor of Arts with Instrumental Music degree and is minoring in advertising. Britt Asbach, a senior, is majoring in organizational communication with a minor in special education. She will be going to graduate school. Cameron Schultheis is majoring in media arts and game development with a minor in advertising. Thank you to all the students I interviewed! I know you all will be successful in whatever path you choose to take in life. December Graduates – What Comes Next? 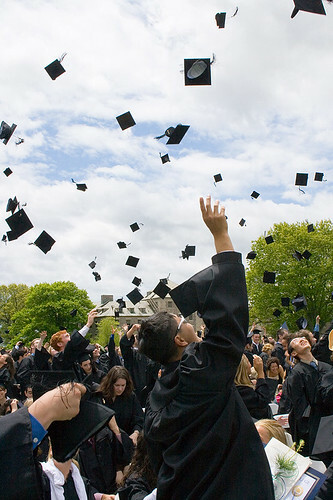 For those of you who are graduating in December – this post is for you! First of all, congratulations! The day is almost here. Graduation can’t come soon enough, right?! Your mind might be focused on December 15, your cap and gown, and your graduation party, but… have you thought about what happens afterwards? There are many paths you can take after graduation, such as working at a full-time job, joining a non-profit organization or going to graduate school. For those of you who have jobs lined up, that’s awesome. You’re ahead of the game! But for those of you who are still looking, it’s okay. Finding a job takes time, and there are a lot of factors that go into it. Take some of these tips below into consideration. Don’t rely on just one method when hunting for a job or internship. Searching online at job boards, such as Hawk Jobs, is a great method, but you can expand this by searching directly on employer’s websites and looking for ’employment’, ‘careers’ or ‘internships’ towards the bottom of the page. Make sure your resume is up to date. You never know when you’ll need to reference it or e-mail it to a potential employer. Going along with these lines, make sure you have a LinkedIn profile as well. Network, network, network! It’s important to talk to people who work in the field you want to get into. If your mom knows a friend of a friend who is the CEO of that company you’ve been dying to work for, ask that person if you can set up a phone call or informal meeting with them. Also, mention to your friends and family that you’re looking for a job. Having that word of mouth factor can definitely help you out in the long run, and being connected will make it easier to find a job. While you’re on the job hunt, keep yourself busy. This may not seem like a big deal, but when you have your interview for X company, I guarantee they will ask you, ‘What have you been doing since graduation?’ Be prepared to answer that question with: I’ve been volunteering at the local hospital/I’ve been working on a new hobby of mine/I’ve been helping my father out at his landscaping business/I went on a mission trip to help build a church in Mexico/I’ve been going to graduate school, or whatever it is you’ve kept yourself busy with. Serving your country or a foreign country can give you some of the best experiences of your life, it can help you put a hold on those student loans and it will look incredible on your resume. Getting involved with national organizations, such as AmeriCorps, the American Red Cross, City Year, Teach for America and Points of Light are great ways to volunteer while staying within the United States. If you’re looking to travel and volunteer abroad, some programs include the Peace Corps, Global Volunteer Network, Habitat for Humanity, Global Volunteers and United Planet. Graduate school is another path to take after graduation. Did you know that UW-Whitewater offers a graduate school program?Kristina Stankevich, a senior at UW-Whitewater, is studying accounting. She will be graduating in December and continuing her education at grad school at UW-Whitewater. She used Hawk Jobs as a resource to find her internship. ‘After I graduate, I will be attending graduate school at UW-Whitewater. My first semester as a graduate student I will be interning at Schenck, an accounting firm in Milwaukee. The accounting program has an internship program set up through Hawk Jobs that I interviewed through and I was able to be placed at a firm. I haven’t been actively looking for a full-time job. I still have a year and a half left of graduate school, so I have some time to find a full-time job. My goal is to work with taxes for the entirety of my career. Eventually, I would love to work with International Taxes. ‘Kristina, we wish you the best of luck at graduate school and your internship. Also, good luck to all the December graduates! As one last tip, the career counselors at Career & Leadership Development will always be a great resource for you to utilize whenever you need it. 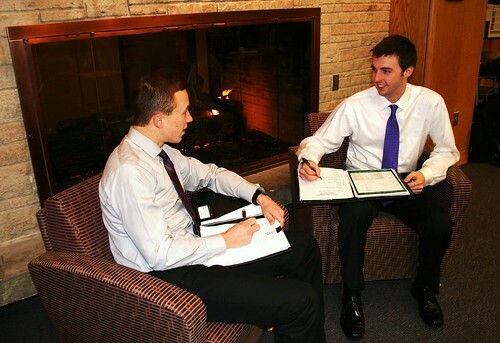 The career counselors aid all students and alumni of UW-Whitewater. Photos by Tulane Public Relations and manjidesigns. The idea of attending graduate school always intrigued me during my years as an undergrad. With a desire to become a counselor I knew it was inevitable, but I didn’t know much about the process. 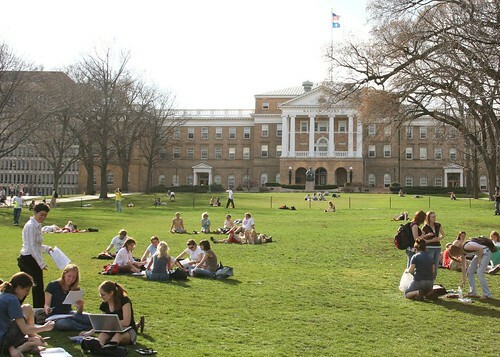 Here are some of my tips for preparing and applying to graduate school programs. Research the University, the Graduate School, the Department, the Program and the City/Area in which the school is located. You’d think that this would be common sense, but from experience, I can tell you it’s not. Each of these levels can have a dramatic effect on your choice to attend or even apply to a specific program. For example, if the program is located in a city or state that you are unwilling or unable to move to, it doesn’t matter how strong of a program it is, it won’t be satisfying for you. Same thing goes with the department. If you are looking for a graduate program with a large full-time staff, a program that relies on adjunct faculty may not be your best bet. If at all possible, once you have done your research, go on a campus visit. You can learn a great deal about a campus and a program by looking at the space you’ll be in as a graduate student. Listen to your gut if it does or doesn’t feel right. Consider setting up interviews with faculty members to learn more about their research or areas of expertise. Ask questions that you couldn’t find the answers to online or in print resources. Contact current graduate students! Often time departments are more than willing to have prospective students meet with current students. Find out from students what the pros and cons are of the program and what suggestions they would have for you about how to navigate the grad school life. For assistance with any of these documents, you can set up an appointment with any of the Career staff at Career & Leadership Development by calling 262-472-1471. With your application, pay special attention to deadlines, specifics on where and how to submit your completed application or necessary admissions tests like the GRE or GMAT. Overall when you’re thinking graduate school, start early and weigh your options. No two programs are the same and there is a “right one” out there for you!